Our 8bar rookie Qudus is someone who always smiles and is in a good mood. What’s more he also is open to try something new. Reason enough to have the new adidas cycling apparel tested by him. Together with the 8bar MITTE we’ve been to the largest building site in Berlin – the BER airport. Did the adidas cycling apparel could stand the challenging test? Especially on long trips or training rides there is nothing more important than comfort. 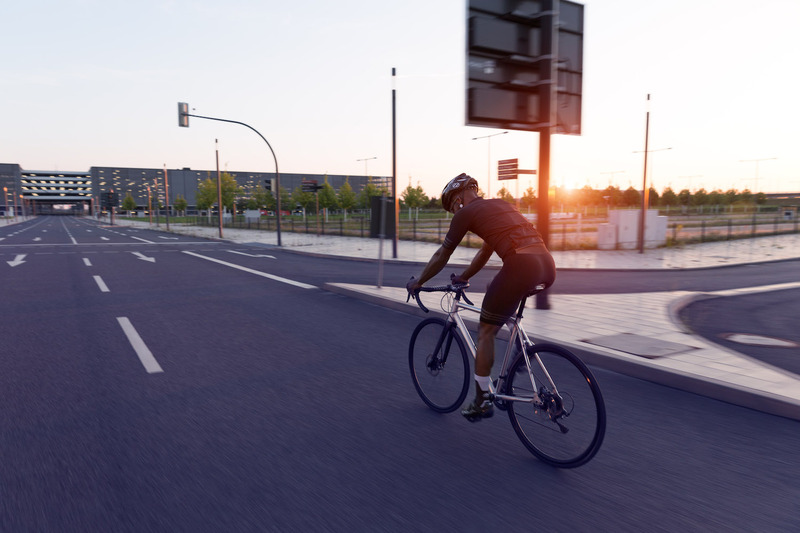 This starts with a bike which is perfectly adjusted and adapted to its owner and it continues with good clothing, which not only sits properly but also supports the rider’s movement. Long riding pleasure is always the focus. It is therefore more than important to find material and clothing that meet the requirements and the anatomy of the rider to 100%. Qudus, who participates in many races as an 8bar rookie, is also well-versed throughout the year. He knows what is important regarding the equipment and makes no compromises. 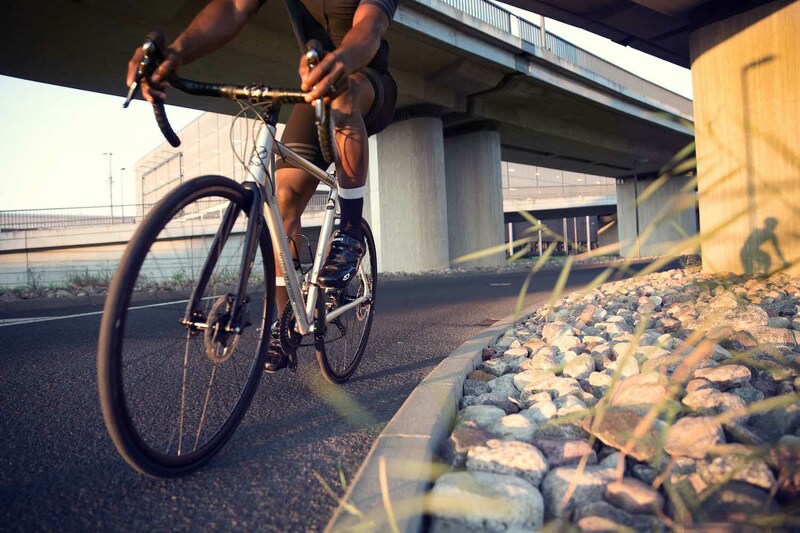 Bad clothing and an inappropriate bike reduce the enjoyment of riding and therefore also his motivation to always actively train and spend many hours on the bike. 8bar bikes for sure does not have a lack of high quality bikes. From fixie and singlespeed to road- and cross-bikes – we have the perfectly matching bike for everyone. Qudus went for the 8bar MITTE Road Pro for his test. It is the road bike version of our 3in1 convertible All-Road-Bike with the best of the best high-end parts. Speaking of riding comfort for the test, the performance by the 8bar MITTE is absolutely given. But what about adidas cycling apparel? Qudus put the bib shorts and jersey of the “adistar Engineered Woven” collection to the test. This new innovation from adidas is suitable for training and racing. Like all adidas products, these pieces have been developed in close collaboration with professional cyclists. The material and the fit have been optimized in various steps to meet the high demands and requirements of the riders in the urban environment and in the racing scene. It was immediately apparent that the adistar Engineered Woven collection was like a second skin. The seamless fit and the high-tech stretch material not only feels good on the skin, but also optimally adapts the movements of the rider. Because of the different compression zones which fight muscle fatigue, it is sporty and accurately fitting. The material adapts any movement and does not slip. This avoids friction which can become painful on longer rides. The men’s specific seat pad contributes to this. According to adidas, it provides top-class comfort for over six hours of riding. Qudus didn’t test the bib shorts that long but he can absolutely confirm the comfort. He loved the elastic anti-slip hems. It wasn’t uncomfortably tight on the leg but sits securely and does not slip. The decisive factor when it comes to races, which are often carried out over longer distances, has been taken into account in the development of the adistar Engineered Woven bib shorts: light wear and fast drying. The bib shorts have convinced Qudus, but what does he say about the jersey? 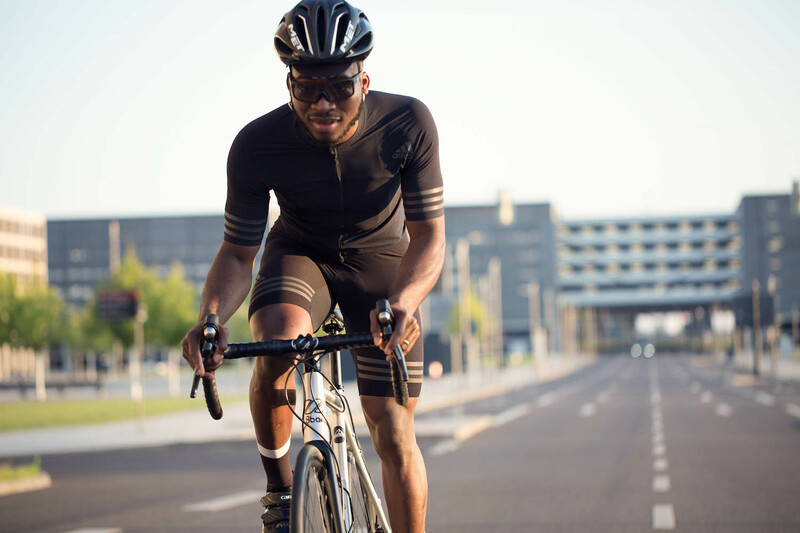 Like the bib shorts, the cycling jersey also has a seamless design and stretch-woven fabric. It fits perfectly and supports the aerodynamics of the rider thanks to the tight fit. This is a decisive advantage in racing. The full zipper on the front makes it easy to put it on and take it off and, of course, the practical three pockets on the back for mobile phones, keys, some money and bars or gels are not missing. The zip pocket on the left side of the back is especially handy for small things that are especially important. The back is longer and equipped with an gripper elastic, which means that the jersey is always in the right place during sprints and particularly rapid rides. 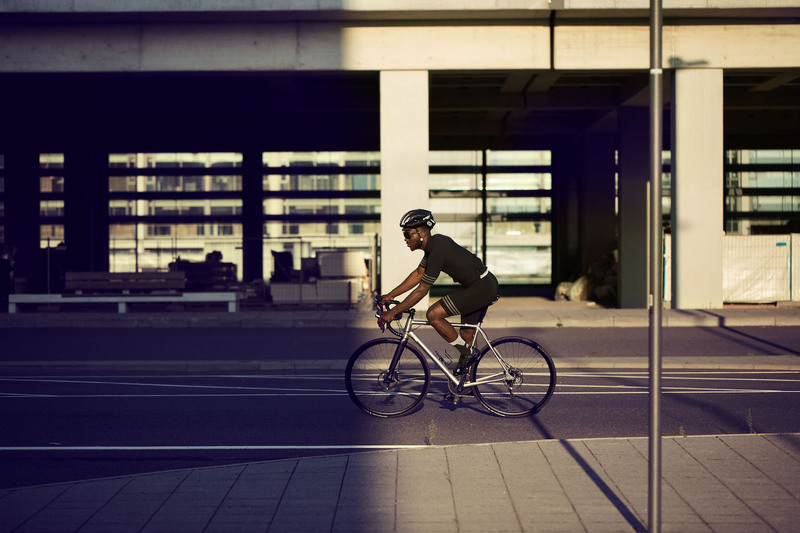 Reflective details enhance the safety of rides across the countryside or in the city. Qudus was cycling and testing in the dawn. It was especially important to be seen by others. The wearing comfort was unique. Suppliers like to claim that their products are like a second skin, but the adistar Engineered Woven collection really hits the mark. 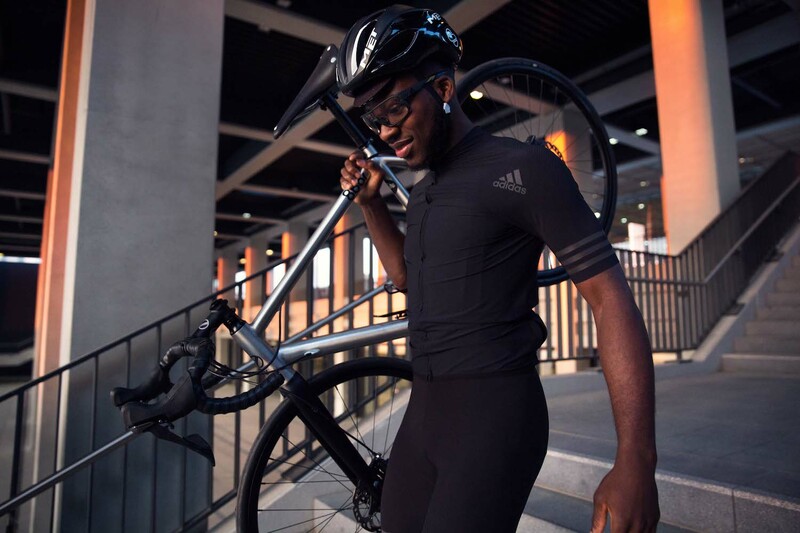 Qudus put on the bib shorts and jersey and it was perfect right away and was very comfortable despite the tight fit. No annoying pulling anymore. Here you can see how perfect bicycle clothing could be. An absolute purchase recommendation! PS: It is also available for women.